Le Jardin des Plantes is a botanical garden situated in the 5th arrondissement of Paris, near to the Grande Mosquée de Paris. The garden covers a total of 23.5 hectares and includes a very long garden à la francaise which is filled with different flowering plants from April onwards. This stretches out in front of the impressive 'Grande Galerie de l'Evolution' which is one of the buildings of the Natural History Museum. There are three large greenhouse, one is in an art deco style and contains the winter garden, le jardin d'hiver. This includes climbing plants, bananas and palms amongst others. The mexican greenhouse (see right) and australian greenhouse were both designed by Rohault de Fleury. These too all form part of the Natural History Museum. A rose garden was created in 1990 and contains 170 varieties of European roses. An alpine garden displays more than 2000 alpines from around the world. The iris garden has 150 varieties of iris and a large collection of perennials and climbing plants. There is also a peony garden, a potager, a labyrinth, a garden dedicated to birds and bees and an ecological garden. 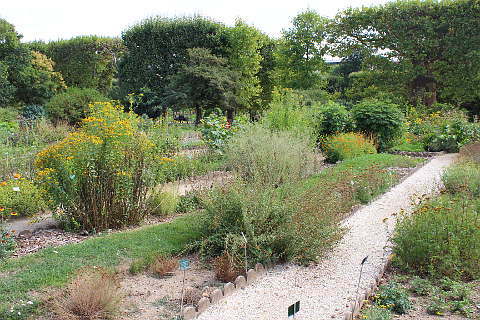 The garden has a school of botany where you can see more than 4000 plants grouped together by family. Whilst the above information is all correct I have to say that during our visit in 2015 we were very disappointed by the garden. The botanic garden was basically lots of beds of weeds with a few plants struggling to survive amongst them and the large garden in front of the 'Galerie de l'Evolution' was one of the least remarkable gardens of all those we viewed walking around the parks and monuments of Paris. It is quite a walk to get here along one of the least interesting sections of central Paris which made it especially disappointing! The garden is open every day from 7.30-20.00 in the summer and 08.00-17.30 in the winter. 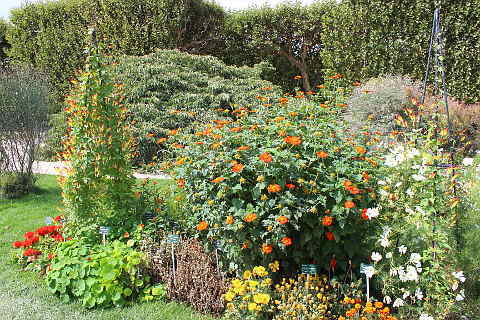 Admission to the main gardens are free and to the greenhouses costs 6 euros for adults and 4 euros for 4-16 year olds. There is also a zoo on the site. 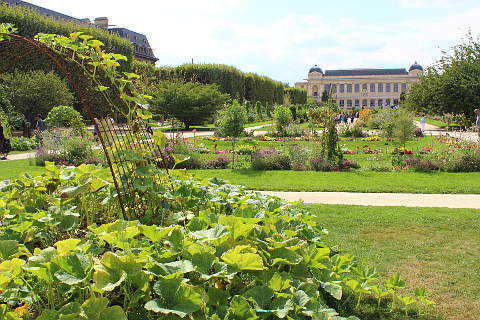 The garden is situated in the 5th arrondissement of Paris between the Paris Mosque, the campus of the University of Jussieu and the River Seine. 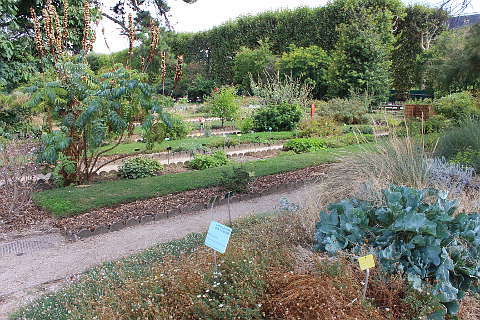 The Jardin des Plantes is the main botanical garden of France. 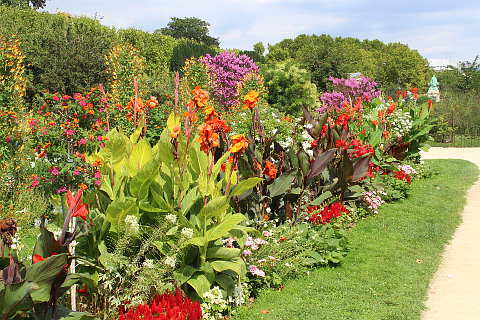 However there is also The Jardin Botanique de la ville de Paris which is made up of four gardens - the Parc Floral de Paris, the Parc de Bagatelle, l'Arboretum de l'Ecole Du Breuil et le Jardin des Serres d'Auteuil.